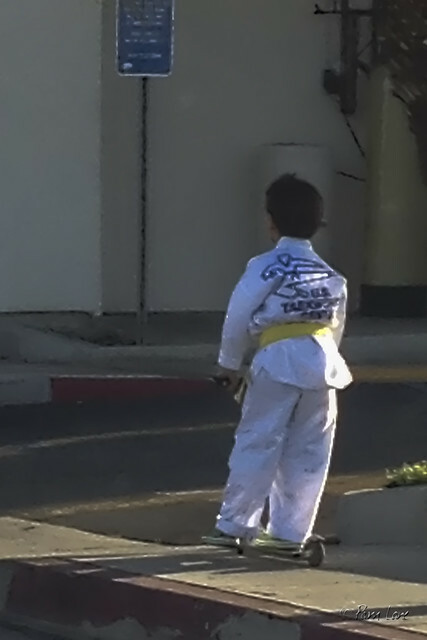 At Ahn's U.S. Tae Kwon Do Center, this group of mostly young boys practices the martial art of tae kwon do, literally "the way of the hand and the foot." 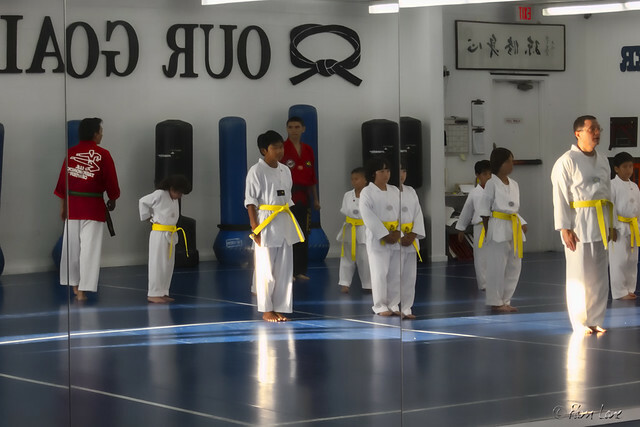 Grand Master Jang S. Ahn has been teaching tae kwon do for 40 years, mainly to kids. According to Wikipedia, "Taekwondo is known for its emphasis on kicking techniques, which distinguishes it from martial arts such as karate or southern styles of kung fu. The rationale is that the leg is the longest and strongest weapon a martial artist has, and kicks thus have the greatest potential to execute powerful strikes without successful retaliation." Of course, at this age, "long legs" are a relative idea.